With all this talk of the latest craze, ‪Pokemon Go‬, we’d like to tell you about another opportunity for a little fun with a serious purpose. 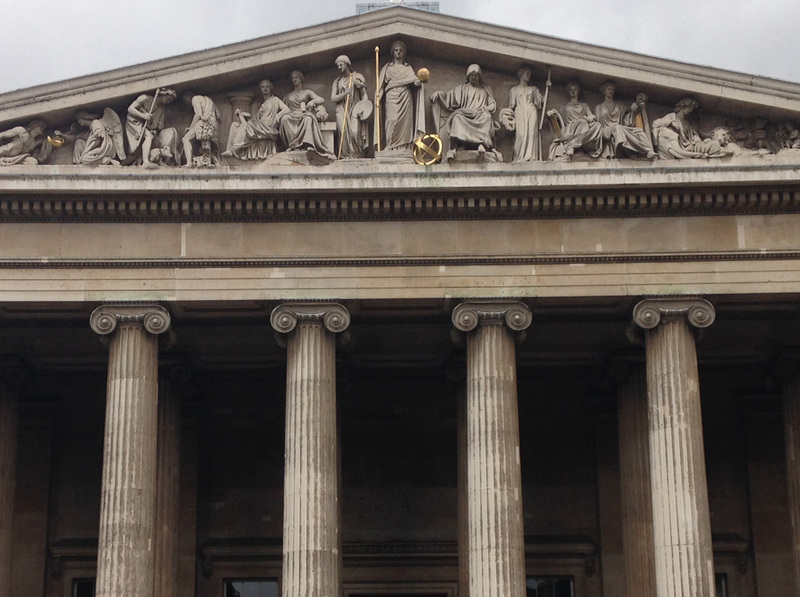 If you happen to be visiting ‪#‎London‬ and the ‪‎British Museum (BM) don’t forget to check out Pericles’ handiwork in the Parthenon Gallery. You might unexpectedly meet up with ‪Melina Mercouri‬ and be informed by Pericles’ critique of the ‪Universal Museum‬. Pericles informs us that this is the beginning of an alternative narrative in the BM. Originally a centre of learning, during the 19th century the BM rapidly became a repository of items gathered and sometimes looted from the British Empire and beyond. Now the BM attempts to retrospectively justify this assemblage of exhibits as a universal or encyclopaedic museum permitting international comparisons between objects. 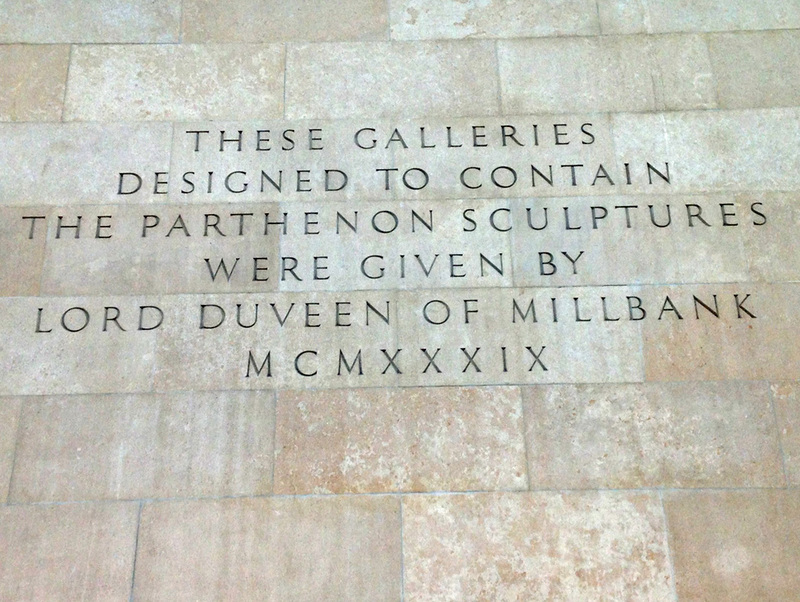 It claims that only here can the Parthenon Marbles’ contribution to human intellectual development be fully understood. Thanks to Pericles work an alternate narrative is unfolding both at the entrance to the BM and in the Parthenon Gallery. It challenges this imperial taxonomy. To follow this narrative first download the augmented Reality app ‪Aurasma‬ to your smart phone or tablet. Now follow the instructions on this image. 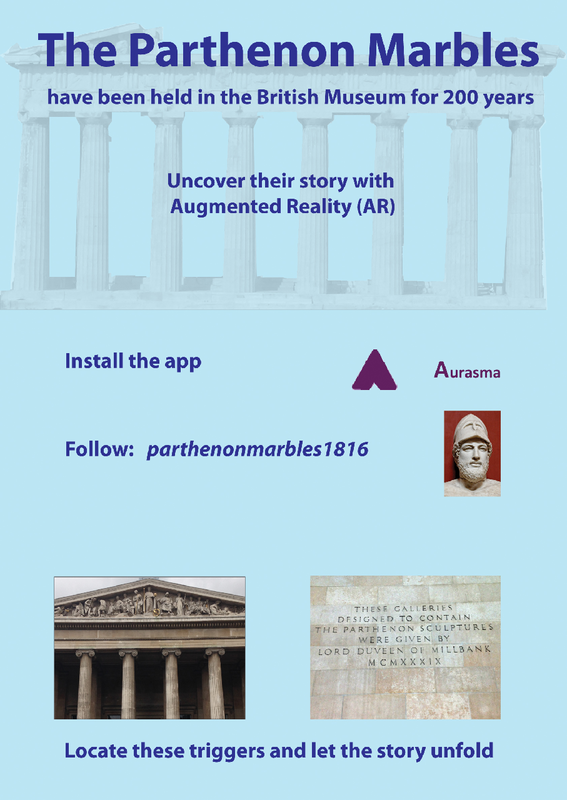 By following Pericles’ channel parthenonmarbles1816 you can follow his Auras. Yes, each of his contributions is known as an Aura. This project is in its infancy so there is more to come. For more background on Aurasma and Auras, click on this link. Tom Flynn has written extensively about the fallacy of the Universal or Encyclopaedic Museum. Thomas Bruce, the seventh Earl of Elgin and the Eleventh Earl of Kincardine, was appointed British ambassador to the Sublime Porte (the Ottoman central government in Constantinople) in 1799. Lord Elgin engaged the painter Giovanni Lusieri to supervise a team of artisans and workmen to travel to Athens to make drawings and plaster casts of Greek sculptures and architectural fragments. Although Lord Elgin obtained a document from the Ottoman government (referred to as the “First Firman”) giving his team access to the Parthenon, the access given was unsatisfactory. Lord Elgin’s chaplain, the Rev. 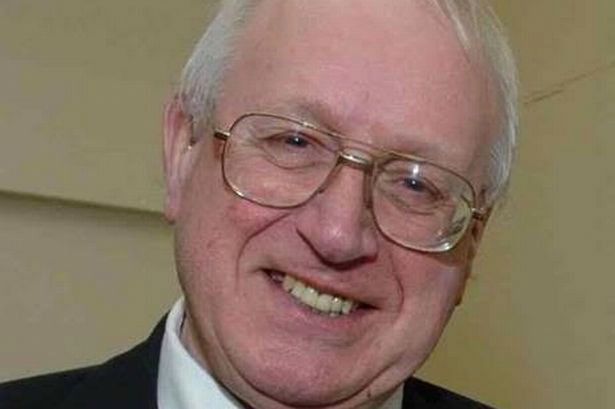 Philip Hunt, obtained a second document of permission. This document (referred to as the “Second Firman”), which survives only in an Italian translation, directed local officials to allow Lord Elgin’s team to (1) go in and out of the “citadel,” (2) erect scaffolding, (3) make casts of sculptures and architectural features, (4) take measurements, (5) undertake necessary excavations “in search of inscriptions,” and (6) to take away any pieces of stone with inscriptions or figures (“qualche pezzi di pietra con inscritzioni, e figure”). Lord Elgin, Hunt, and others at the time describe these documents as “firmans,” which were Ottoman legal documents issued directly by the Sultan. As we will see, some scholars have challenged that designation and the claim of legal authority associated with it. Below, his name – above, behold his deeds! More accessible in London than they had previously been in Ottoman-ruled Athens, the sculptures inspired many, including Keats, whose viewing of the sculptures on display at the British Museum in 1817 inspired both “On Seeing the Elgin Marbles” and “Ode on a Grecian Urn.” The acquisition and display of the sculptures were part of a broader European fascination with classical art and culture that had begun in the mid-18th century, and which had a wide influence on European art and design. Following Greek independence, the successive restorations of the Acropolis were undertaken, removing later additions and changes in favor of a restoration of the site to the ruins of its Periclean state. 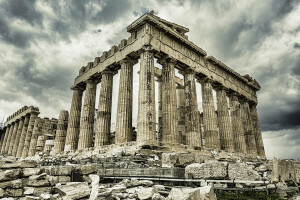 Greece has insisted that the monuments of ancient Greece, including the removed Parthenon sculptures, are national cultural patrimony that is the exclusive property of the Greek nation. However, Greece did not make a formal demand for the return of the Parthenon sculptures until 1982, which the British Museum declined. 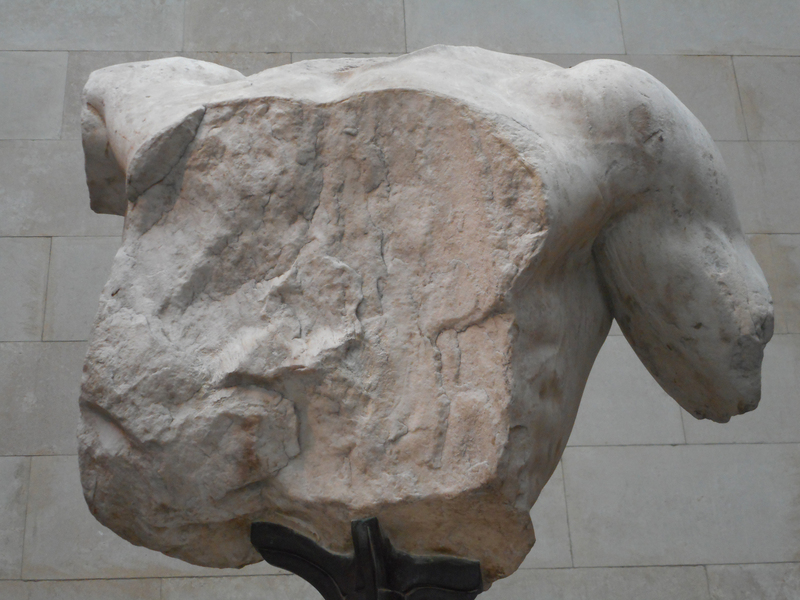 Although Greece recently considered its options for bringing suit to compel the return of the Parthenon sculptures to Athens, it ultimately decided against taking legal action, concentrating instead on cultural diplomacy. Considering the nature of such a claim with respect to the Parthenon sculptures and the obstacles it would face promotes a more general understanding of the legal issues involved more generally in claims for the return of cultural property that was removed during this period. For the Parthenon sculptures, the main substantive issues are (1) whether Lord Elgin had the permission of the Ottoman government to remove the sculptures from the Parthenon and to ship them to England, and (2) whether any international law exists that would require the sculptures to be turned over. The main procedural issues are: (1) in what court could a case be brought (this involves both what court(s) would have jurisdiction to hear such a claim as well as whether a judgment entered by the court could actually be enforced), and (2) whether suit is barred by statutes of limitations or other technical barriers. Q: Do you imagine that the fermaun gave a direct permission to remove figures and pieces of sculpture from the walls of temples, or that that must have been a matter of private arrangement with the local authorities of Athens? Hunt: That was the interpretation which the Vaivode of Athens was induced to allow it to bear. Q: In consequence of what was the Vaivode induced to give it this interpretation? Hunt: With respect to the first metope, it was to gratify what he conceived to be the favourable wishes of the Turkish Government towards Lord Elgin, and which induced him rather to extend than contract the precise permissions of the fermaun. that an act in excess of the authority originally ranted can be ratified, expressly or by implication from conduct indicating acquiescence. There is evidence that the Ottomans twice ratified what Elgin had done. For one thing, it appears that Elgin caused the Sultan to issue additional firmans addressed to the Voivode and Disdar of Athens, in which the Sultan generally sanctioned what these local officials had done for Elgin and his party. For another, a large shipment of Marbles was held up in Piraeus (the port of Athens) because the Voivode, under pressure from the French, refused to give his permission for their embarkation. Eventually the Ottoman government gave written orders to the Athenian authorities to permit the shipment, and the Marbles were allowed to leave for England. Together these two events make a strong case for ratification of the removal, even if it exceeded the authority given in the original firman. If the removal was so ratified, then as a matter of international law the removal was legal, and Elgin was able to transfer title in the Marbles to the British Museum. Williams expands on Merryman’s theme of ratification, providing further documentary detail, but the idea of ratification has not quelled challenges to the legality and propriety of Lord Elgin’s actions. It is often said that the primary obstacle a claim for the return of the Parthenon sculptures would encounter is the running of the statute of limitations. Statutes of limitations are certainly the most obvious initial procedural challenge to such ancient claims, but they apply variously in different jurisdictions (for instance, when the statute of limitations begins to run and whether they can be tolled under certain circumstances). More importantly, statutes of limitations are creatures of domestic law, with limited application in international law. Jeanette Greenfield has noted that “international law does recognize a bar of claims by lapse of time, although this argument is more likely to succeed where there is estoppel through acquiescence.” Limitations periods would be applicable and would need to be addressed through arguments for tolling in both the UK and the US. Laches would also present a challenge, since Greece has known where the sculptures are held for two centuries without instituting legal action. No limitations period would bar litigation in the Greek court, but any judgment entered would likely be regarded and politically motivated and recognition and enforcement of such a judgment would be difficult. Although no limitations period would bar the bringing of an action before the International Court of Justice, the ICJ statute allows parties to limit the court’s jurisdiction to restrict retroactive effect. Greece included no temporal restriction in its declaration of ICJ jurisdiction, but the UK has restricted its agreement to the court’s jurisdiction to disputes arising after January 1, 1984. No limitations period applies directly in an action brought before the European Court of Human Rights, but the claimant would need to first exhaust domestic remedies, in which domestic limitations periods would apply. Apart from the procedural challenges to bringing such an action, the most significant obstacle to a legal claim for the return of the Parthenon sculptures is whether Lord Elgin’s removal of the sculptures violated international law applicable at the time or their return is mandated by modern international law. As I have described earlier in this article, although a number of commentators have challenged Ottoman power to allow the removal of the sculptures, the Ottoman Empire was the recognized government of the territory, with the power to dispose of objects within its territory. No customary international law norm existed in the early 19th century prohibiting the plunder of cultural objects during times of war, much less the removal of cultural objects with the apparent consent or acquiescence of the recognized government. When we look to modern international legal norms, we see that the Hague Convention and similar international instruments protecting cultural property during armed conflict do not directly apply to either the original removal of the sculptures or their current retention, since the removals were not undertaken in connection with armed conflict. The Napoleonic wars are certainly in the background, and Ottoman solicitude toward Lord Elgin was strongly colored by the desire to maintain Britain as an ally against Napoleon, but the sculptures were not removed pursuant to an armed conflict. Similarly, neither the UNESCO Convention (which has no retroactive effect) and the UNIDROIT Convention (to which the UK is not a party) apply. For an action to legally compel the return of the Parthenon sculptures to succeed, what would be required is the articulation of a new rule of customary international law that certain types of cultural property that are central to a nation or a people are the perpetual and exclusive property of that nation or people as a whole and can never be alienated. The argument in favor of such a rule would rely on existing international conventions such as the Hague Convention, the UNESCO Convention, and the UNIDROIT Convention, as well as the European Convention on Human Rights and the 1993 EU Directive on the Return of Cultural Objects, and would argue that these conventions and instruments evidence a trend toward the protection of cultural property in situ in the nations and cultures of their creation. The argument would be that with respect to certain types of cultural property central to the life and identity of a culture or a people, the right to retain, have access to, and preserve such cultural property for posterity is a human right. Such a rule does not presently exist, and the creation of that rule is highly problematic. It is unclear what limiting principle would apply – how the necessary nexus between nation, culture, and culture property would be established and defined. Broad legal rules tend to be poor tools to address unique situations. Where the continuing debate over the Parthenon sculptures is concerned, Faulkner’s line resonates – since the past truly is not past. If any resolution is to be reached, whether permanent or provisional, and if the matter is not to be intractable, the discussion will likely need to move away from questions or title, ownership, and recrimination. Absolute positions, as well as national and political emotions, will need to be set aside. That, perhaps most of all, will not be a simple matter. Until now, discussions have tended toward the polarizing practices of debate, with right on one side and fault on the other. Flexibility will be essential, and a negotiated resolution, or series of resolutions, must be mutually beneficial. Although it arose in a very different context (antiquities looted in modern times), the accord entered into between the Metropolitan Museum of Art and Italy in 2006 illustrates one of the ways that disputes over removed cultural property may be resolved. It remains to be seen whether change will occur, or if a hundred years hence the same arguments will still be made. For more information about Lord Elgin’s removal of the Parthenon sculptures, see William St. Clair, Lord Elgin & The Marbles: The Controversial History of the Parthenon Sculptures (2003). In 2002, Greece enacted Law 3028/2002, “On the Protection of Antiquities and Cultural Heritage in General,” which provides for the protection of cultural property located within Greek territory (including its territorial waters), and provides that cultural property of national significance is res extra commercium, and cannot be transferred to individuals or institutions. Greece has enacted a series of laws protecting its cultural heritage, and particularly its ancient objects, beginning with pronouncements even before Greek’s war of independence was concluded. Greek Law 2646/1899 established “an exclusive right of ownership of the state over all antiquities, movable and immovable, to be found anywhere in Greece, even on private law.” Daphne Voudouri, “Greek Legislation Concerning the International Movement of Antiquities and Its Ideological and Political Dimensions,” in D. Damaskos and D. Plantzos (eds), A Singular Antiquity. Archaeology and Hellenic identity in twentieth-century Greece (3rd Supp. ), 125-139 (2008). Demetriades argues that three types of Ottoman legal documents were in use at the time: (i) a firman (an imperial document issued by the Sultan himself, which the Letter by the Museum’s own admission is not), (ii) a buyuruldi (a lower level document with more limited authority), and (iii) a mektub (a letter carrying a far more limited ability to convey permission). Dyfri Williams, “Lord Elgin’s Firman,” Journal of the History of Collections, 1 (2009). See, e.g., John Henry Merryman, “Thinking About the Elgin Marbles,” 83 Mich. L. Rev. 1881, 1899 (Aug. 1985)(“The document appears to contemplate measuring, drawing, and making casts as the principal activity of Elgin’s artists and workmen. The reference to ‘taking away any pieces of stone’ seems incidental, intended to apply to objects found while excavating. That was certainly the interpretation privately placed on the firman by several of the Elgin party, including Lady Elgin.”); and Jeannette Greenfield, The Return of Cultural Treasures, 81 (3rd ed. )( “Even if the terms of the firman as translated are accurate, it is clear that Elgin exceeded them. He acted in a breach of the conditions allowing him to remove items from the Parthenon site, and what he did removed was not included within the descriptions contained in the firman.”). Rev. Philip Hunt testimony, House of Commons Select Committee on the Earl of Elgin’s Collection of Sculptured Marbles &C., Report, 25 March 1816. John Henry Merryman, “Thinking About the Elgin Marbles,” 83 Mich. L. Rev. 1881, 1889 (Aug. 1985). Jeannette Greenfield, The Return of Cultural Treasures (3rd ed. ), 82. See, e.g., Jeannette Greenfield, The Return of Cultural Treasures (3rd ed. ), 82 (stating that “There was no body of international law governing removal or protection at that time.”). and is republished with the author’s permission. Aggressive art imperialism became institutionalized under the Romans, beginning with the looting of cultural property by Roman forces in the sack of Veii, ‘the richest and most powerful city of the Etruscan nation,’ in 396 B.C. …The art was desired for itself but also for its role in political triumphalism: the practice of prominently displaying loot on the return to Rome in order to stimulate public admiration for the generals and their legions and public approval and support for the imperial enterprise. Many of these triumphal objects were displayed in the Roman Forum, which became the world’s first great outdoor art museum. The same pattern was followed in the Eastern Empire. One of the earliest artworks documented to have been plundered is a victory stele of Naram-Sin of Akkadia, which was erected in the city of Sippar to commemorate a victory in battle in ca. 2250 B.C.E. When the Elamites conquered the area in ca. 1158 B.C.E., they carried off the stele as war booty, erecting it in their own city of Susa, in the territory of present-day Iran, and adding to it an inscription recording King Shutruk-Nahhunte I’s victory. In Jerusalem, the Temple of Solomon was looted and burned in 586 B.C.E., rebuilt a generation later, only to be sacked and destroyed by the Romans under the Emperor Titus in 70 C.E. A panel on the Arch of Titus in the Roman Forumshows soldiers carrying off the treasures of the Second Temple. But removal of cultural property in this time was not simple destruction. The four horses that famously adorn the entrance to St. Mark’s Basilica may cast some light on how complex the issues surrounding cultural objects taken in this manner can be. The horses were taken from Constantinople as trophies during the Fourth Crusade in the 13th century. However, it is likely that they were already in Constantinople as loot, brought there by Constantine from any of three possible locations. The horses were in turn taken from Venice by Napoleon and transported to Paris, along with many objects taken from areas his armies conquered. Venice is hardly alone in having incorporated plundered works into the fabric of the city. In fact, many of the world’s cities are bricolages of objects from disparate cultures and eras, ineluctably hybrid. Rome is dotted with obelisks, many of which were taken from Egypt by Emperor Augustus and others following the defeat of Mark Antony and Cleopatra. The obelisks were repurposed in the 16th century by Pope Sixtus V, marking Christian sites in the rebuilt city. Some of these objects that had been ancient trophies of war became materials in the creation of new works of art. Gian Lorenzo Bernini’s remarkable Elephant and Obelisk, for instance, modeled on a design from Francesco Colonna’sHypnerotomachia Poliphilli (1499) and erected in 1667 in the Piazza della Minerva in front of theChurch of S. Maria sopra Minerva, incorporates a small obelisk that had originally been erected in Lower Egypt by the Pharaoh Apries into the sculpture. At the end of the Napoleonic wars, the victorious allies required that the horses (and much of the art that Napoleon had plundered for the Musée Français, which would become the Musée du Louvre) be returned to the countries from which they were taken. Like the horses of San Marco, Napoleon’s forces also removed to Paris, among much else, the Laocoön and the Apollo Belvedere from the Vatican, the Ghent Altarpiece from Saint Bavo Cathedral in Ghent, Belgium. But the return of cultural objects at the end of the Napoleonic wars was a harbinger of the normative shift to come. The massive dislocation of cultural property/national treasure during the Napoleonic wars brought a renewed focus and emphasis in the peace treaty negotiations in Paris in 1815 on the return of such removed objects. Lord Castlereagh, the British foreign minister engaged in the treaty negotiations, emphasized that the treaty must require the “return of statues, pictures, and other works of art” since “the States in question, one after another, had been systematically pillaged by the former Revolutionary Government of France, in spite of all principles of justice and customs of modern war.” The Treaty of Paris, however, did not establish a rule in favor of the return of all removed cultural property. There was a notable preference for the rights of European states. Those that had been taken, for instance, from Egypt were not included in the treaty’s scope, and so for the most part they were not returned. The international law of war, which had not prohibited aggressive military art-looting campaigns like that of Napoleon in Italy in the late eighteenth century or the British Punitive Expedition in Benin in 1897, had radically changed by the time of the Nazis’ enterprise. Their seizure of works of art in occupied countries violated an international law prohibition on the confiscation of private property by aggressive occupying powers. This was, by 1939, a customary international law norm that had been formalized in Art 46 of the 1907 Hague Convention (Hague IV) on the Laws of War and in the Kellogg-Briand Pact of 1928, to both of which Germany was a party. Kevin Ray is Of Counsel in the Chicago office of Greenberg Traurig LLP. He focuses his practice in the areas of art and cultural heritage law and financial services (lending transactions and restructuring/insolvency matters). He represents and advises artists, art galleries, art collectors, museums and cultural institutions in a variety of transactions, including consignments, questions of title, provenance, and compliance with national and international law. He advises lenders and debtors on issues unique to art, antiquities and other cultural property in a variety of lending and commercial transactions. Prior to practicing law, Kevin was director of rare books, manuscripts and art collections at Washington University in St. Louis and taught at the Washington University School of Art. William Faulkner, Requiem for a Nun (1951). The late Prof. John Henry Merryman of Stanford Law School described such historical practices as “aggressive art imperialism” and “aggressive art acquisition.” John Henry Merryman, “Introduction,” in John Henry Merryman, ed., Imperialism, Art and Restitution, 4-5 (2006). For a discussion of the changing norms concerning the plunder of cultural property, see Wayne Sandholtz, Prohibiting Plunder: How Norms Change (2007); Craig Forrest, International Law and the Protection of Cultural Heritage (2010; Colin Renfrew, Loot, Legitimacy and Ownership (2000); and Robin F. Rhodes, ed., The Acquisition and Exhibition of Cultural Antiquities: Professional, Legal and Ethical Perspectives (2007). John Henry Merryman, “Introduction,” in John Henry Merryman, ed., Imperialism, Art and Restitution, 4-5 (2006). Margaret M. Miles, Art as Plunder: The Ancient Origins of Debate About Cultural Property, 16 (2008). John Henry Merryman, ed., Imperialism, Art and Restitution, 7-8 (2006).